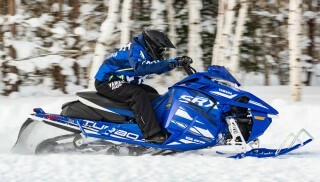 The Yamaha Sidewinder S-TX DX 137 and Ski-Doo Renegade X-RS are four-stroke sleds ready to carve their own trail. Let’s see how they compare…by the numbers. 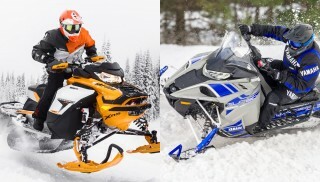 While the Yamaha Sidewinder S-TX DX 137 and Ski-Doo Renegade X-RS are capable four-stroke sleds for tail riding and off-trail boondocking, but four-stroke sleds were seen as a bit of a novelty when Yamaha first embraced the technology. We all liked the idea of a four-banger, but the added weight associated with getting the power where it needed to be made Yamaha’s sleds great for groomed trails, but no one really wanted to venture off the beaten path with one. Still, Yamaha persisted and developed the line using input from its motorcycles and motocross bikes to get the power up and the weight down. Then they started adding turbochargers and we all just sat back and were drunk with the power. It didn’t take long for Ski-Doo and Polaris to head to four strokes. Arctic Cat just went to Yamaha and partnered up. Today, four-stroke performance sleds are common, and two-strokes have steadily improved too, making it a great time to be a snow addict. 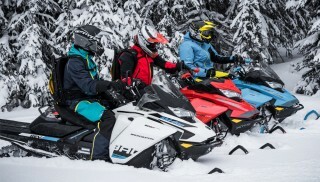 Ski-Doo, and its parent company BRP, are no strangers to high performance. On the two-stroke side, it has been battling with Polaris for years over who makes the most horsepower. That carries over into the UTV world, too. The Can-Am Maverick and the Polaris RZR have been in a heated race to see who can lay claim to the “Most Powerful” title. And there is a serious connection between the Maverick X3 line and the Ski-Doo Renegade. 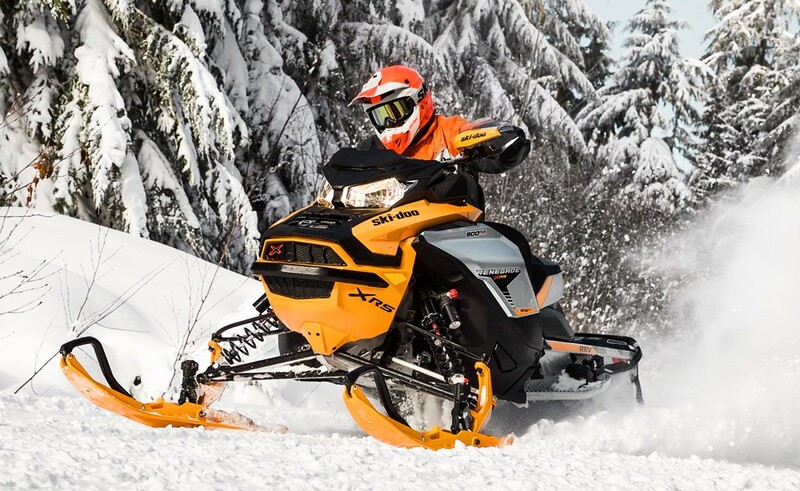 The Ski-Doo Renegade X-RS runs the snow version of the Rotax ACE 900 triple. This 899cc motor is the base engine BRP uses in its four-stroke sleds, as well as the Can-Am Maverick X3s and Sea-Doo PWC. The ACE motor for the Renegade is turbo-charged and pumps out a respectable 150 horses. While that is a big difference in horsepower numbers between these two machines, you have to keep in mind that it’s not always about raw power. Modern four-stroke motors are very precise in that it they have electronic controls for how the motor operates and is controlled. With a two-stroke, it is all about how gas and air mix in the engine and how it exits the engine. With a four stroke, having more parts, it’s more about how that combustion is controlled, valved and routed as it exits. Digital mapping in a four-stroke is a big part of the performance. Ski-Doo has its iTC engine and throttle mapping that gives you Normal, Sport and ECO modes. Normal has a power curve that is more linear, giving you a smoother ride with a decent top end. Sport is more for the rider looking for that shop-the-throttle boost, like you’d get with a piped two-smoker. ECO is perfect for the adventurer, as it settles things down for optimal fuel economy. Yamaha uses engine mapping for a different ride quality and one that works well with the arm-stretching horsepower you already have. Yamaha uses a EBRS system for engine braking, using mapping to control power delivery to help slow the machine down. This is a very cool feature for riders, especially when going back down the hill. The ECU has nine sensors that monitor the engine mapping, making this system foolproof. 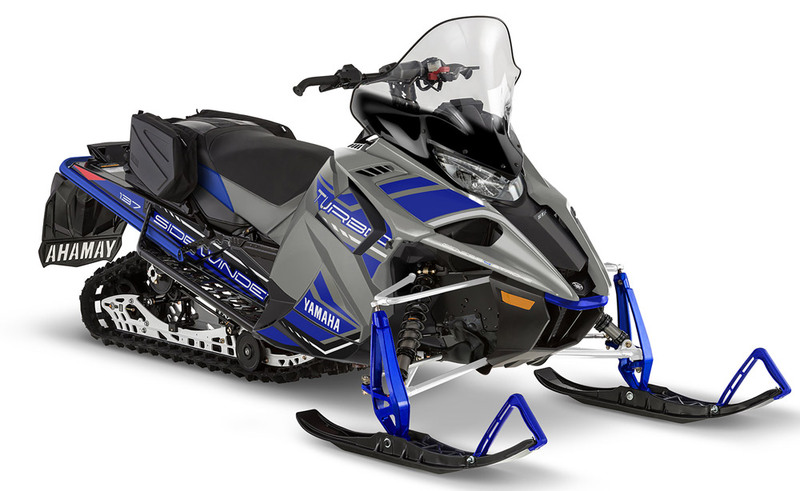 The Yamaha Sidewinder S-TX DX 137 uses a 137-inch long, 15-inch wide Camso Ripsaw II track with a 1.25 tread depth. Not the most aggressive track, but it grips well off the trail and won’t tear you up riding on groomed paths either. The Gen3 Tuner skis are 42 inches apart up front. The Sidewinder uses Yamaha’s HPG 1.5 shocks with 10 inches up front and 13.5 inches of travel out back. 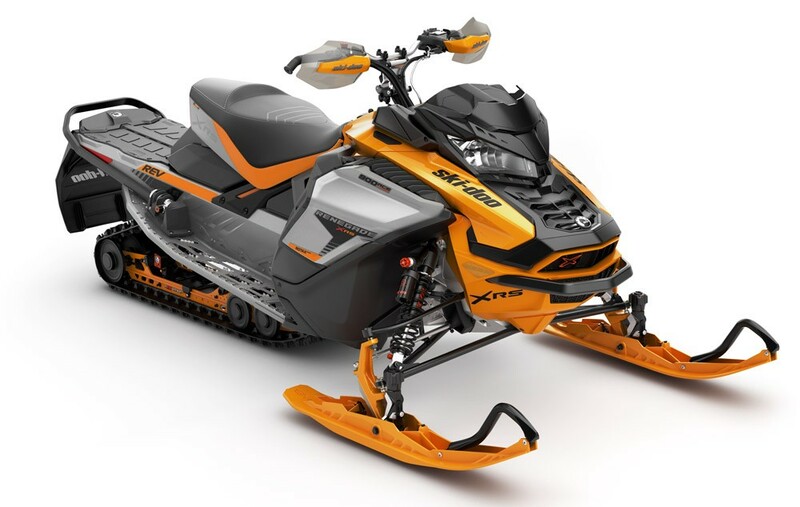 The Ski-Doo Renegade X-RS 900 ACE has a 137-inch long, 15-inch wide track. The standard track is the same 1.25-inch Ripsaw II from Camso, or you can opt for a 1.25-inch Ice Ripper XT, or a 1.6-inch Ice Cobra track instead. The skis have a 42.4-inch stance and you can have Ski-Doo’s Pilot 5.7 skis, or the Pilot TS skis. The Yamaha comes in a cool-looking blue/grey color only and has an MSRP of $16,199. You can find out more by heading to your Yamaha dealer, or by going to the website. 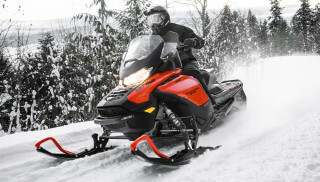 The Ski-Doo, with the 900ACE motor, comes in black or a sweet-looking orange/white color and has an MSRP of $15,249. You can head to your local Ski-Doo dealer and ask about it for yourself, or head over to the Ski-Doo website for more info.